5 chefs, 5 pigs, 5 mezcals. One night. 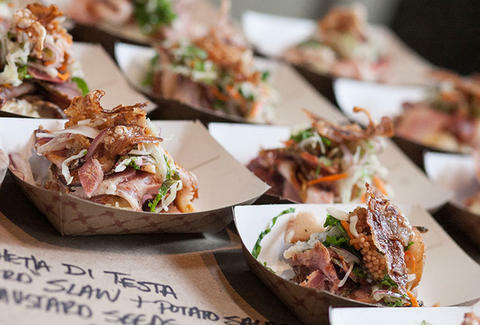 Taking things up several notches to celebrate the fifth anniversary tour of this five-chef, epic pork throwdown, the folks behind Cochon 555 have not only added a sixth (that's right, a sixth!) heritage-breed hog served up family style, but also a "Punch Kings" cocktail competition, tartare bar, and five types of both bourbon and mezcal.